On Scene: The VENTBOSS Rescue Saw; a TFS Exclusive. The VENTBOSS Rescue Saw; a TFS Exclusive. 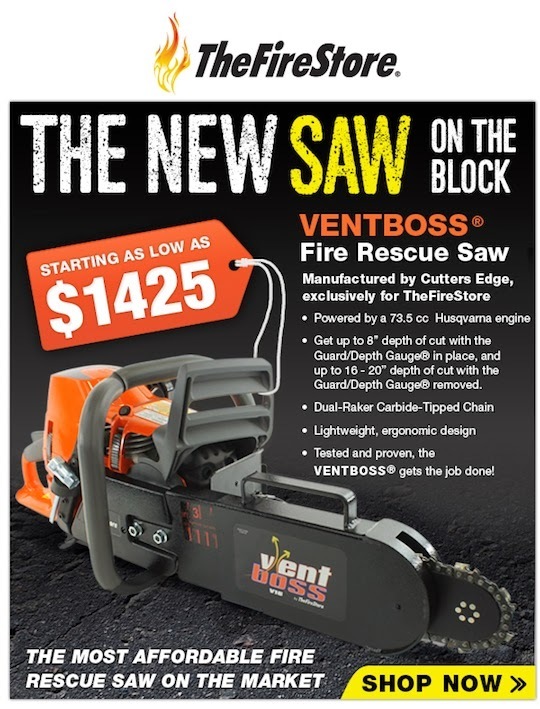 We are so excited to announce that TheFireStore Exclusive Vent Boss Rescue Saw is finally available for purchase right now! We've spent months working with Cutters Edge to launch this Rescue Saw, the most affordable rescue saw on the market--and we couldn't be more pumped to finally have it released. We love that this saw doesn't skimp on any of the best features. This bad boy can cut through anything and with the choice of 16" or 20" we have The Vent Boss Saw for your department needs. Check out all the great details of this saw on our site, with a complete 360 view of the saw, so you can see exactly the great product you're getting for this awesome price!